Monmouth Park will offer New Jersey's first-ever combined racing and sports bet during Sunday'sHaskell Invitational card, with bettors required to pick the winners of three designated races as well as a designated baseball game. 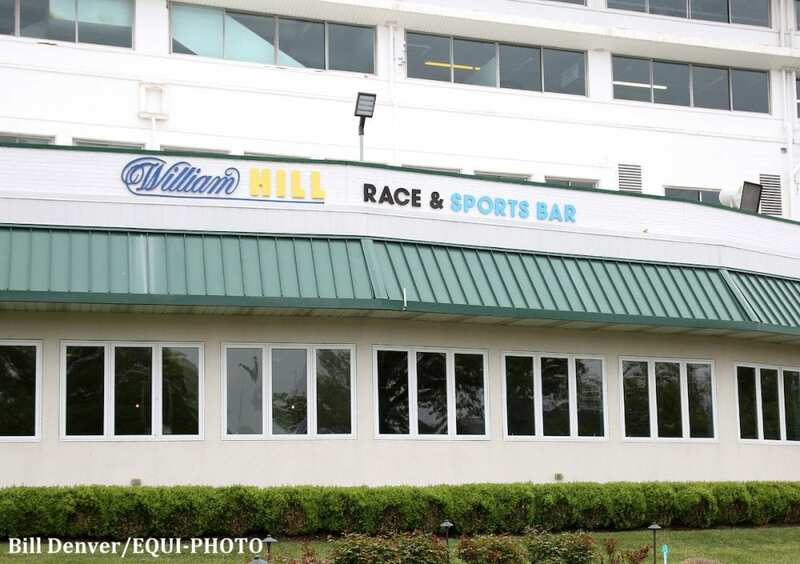 “The Grand Slam” wager for Sunday will be available for advance betting starting Saturday, July 28, in the Monmouth Park Sports Book by William Hill. Other prop bets on the Haskell Invitational will be offered as well. “Monmouth Park has been talking about trying to make crossover bets combining sports and horse racing for some time,” said Dennis Drazin, Chairman and CEO of Darby Development, operators of Monmouth Park. “We're happy to offer our customers the first opportunity to wager on a bet like the Grand Slam as well as the other prop bets that are being made available for the Haskell Invitational. To hit the Grand Slam, customers must select the winners of the Molly Pitcher Stakes, the Wolf Hill Stakes and the Haskell Invitational – races 10 through 12 on the card – as well as the winner of the baseball game between the Cubs and Cardinals. The baseball money line will be posted in the Sports Book. The Grand Slam win payout is set by multiplying the $1 win price of all three horses times the money line of the baseball game. The minimum bet is $2. The maximum payout for the wager will not exceed 720-1. Bettors must go 4-for-4 to collect on a winning wager. Wagering cards will be available in the Sports Book. Also being offered for the Haskell Invitational are head-to-head horse wagers as well as margin of victory. Good Magic vs. Bravazo and Core Beliefs vs. Bravazo are among the variety of head-to-head Haskell wagers available. In addition, a prop bet for margin of victory in the Haskell is available, from a dead heat to a nose to 10 lengths or more. Management reserves the right to refuse any wager or delete any proposition prior to acceptance of wagers. This card contains three thoroughbred horse races and one sports proposition. Customers must select the winning horse from each of the three horse races and must make a winning selection on the sports proposition to have a winning ticket. The win payout will be set by multiplying the one dollar win price of the winning horses x the money line of the sports prop. Winning tickets are void after 360 days from conclusion of the event(s). Winning tickets may be mailed in for redemption. See reverse side of the wagering ticket for mail-in collection instructions and address. All house wagering rules apply unless otherwise stipulated on this card. Minimum bet – $2.00. Maximum bet subject to the approval of Management. Ticket must have 4 selections in action or wager is void and wager amount will be refunded. Payoffs will be made on the wagering ticket generated from the stub portion of this card only. This card is not valid for payment. Printed point spreads at the time the wager is accepted are used in the determination of winners, losers and ties. This card will have no ties as ½ points are used. The maximum payoff for this card will not exceed 720/1. This card is for the express use of Monmouth Park Sports Book by William Hill. We employ no agents; Cards used for any other purpose are invalid. All winnings are subject to I.R.S. reporting and withholding rules. This entry was posted in Horseplayers, NL List and tagged baseball, dennis drazin, Grand Slam, haskell, haskell invitational, Monmouth, monmouth park, sporks book, sports betting, william hill by Press Release. Bookmark the permalink.